Market basket | Can I Bring the Dog? Sometimes we work on a trick and then, for whatever reason, it gets a bit forgotten. 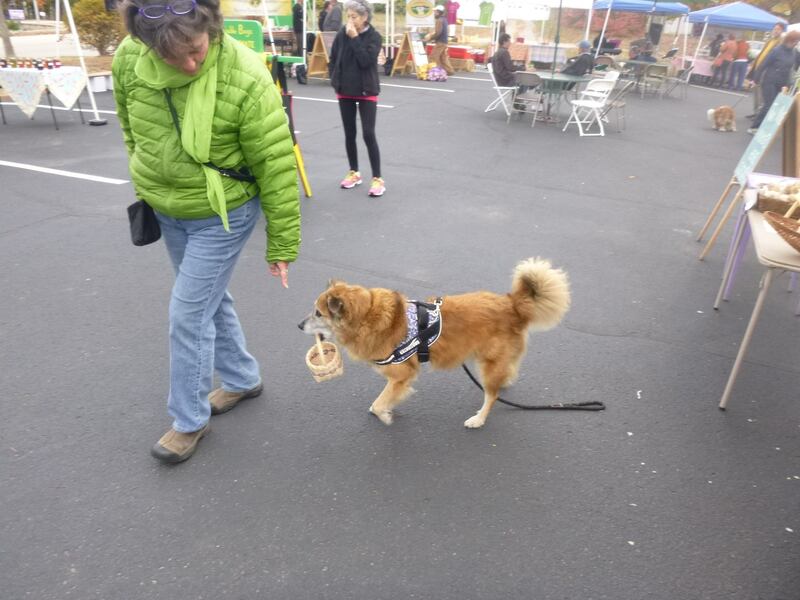 Last week someone said that her favorite of Chico’s tricks is when he carries his little basket around at the farmers’ market. It’s one of those things he has mastered at home, even at Julie’s (see this video from two summers ago), but doing it at the market is/was hard and I guess I kinda stopped working on it. After Kelly’s reminder, last Saturday, toward the end of the market, we tried again. Farmer Bob Streeter was kind enough to take a few pictures for me. We didn’t actually get very far before he dropped the basket. It took many tries to get three carries – each of those pictures is a separate event. 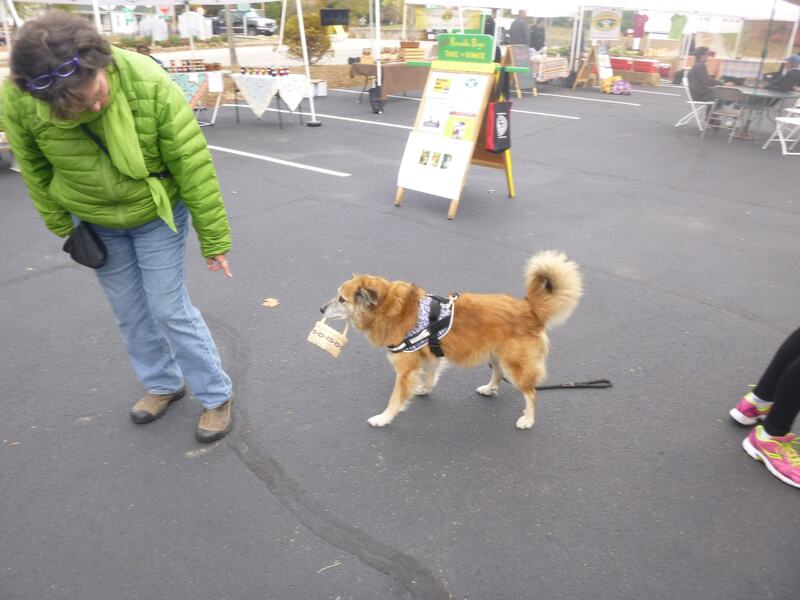 But there’s another week or two of these outdoor markets, we can keep working on this. 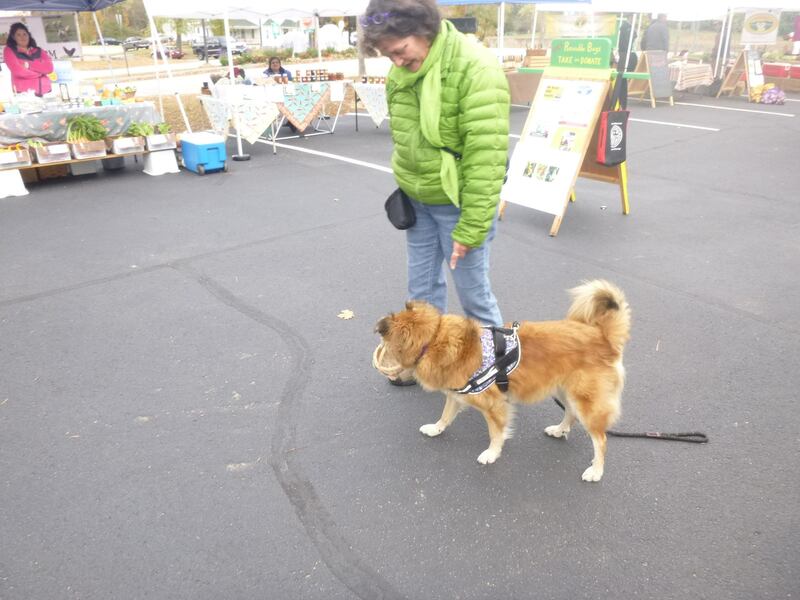 This entry was posted in Uncategorized and tagged dog at farmers market, farmers market. Bookmark the permalink.